Located in Nagano prefecture, Hino-Seiyaku Corporation is well known for its gastrointestinal drug Hyakusogan. We provide medicine made from the combination of natural herbal medicines, cosmetic products made from the combination of natural ingredients, and health food. Hyakuso” is made from endodermis (Phellodendron Bark), which are inside the cortex of Phellodendron, and are decocted with hot water, boiled down, dried and then made into the form of plates. We used to use a cauldron to decoct and extract, and then pour the water into another kiln to boil down slowly to create Hyakusogan. Now we have a self-regulating sealed extraction plant to extract, and then concentrate the filtered extract with a vacuum heating enriching plant to create it. Powdered Japanese Gentian　、Powdered Swertia Herb. 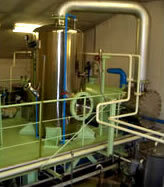 5 kinds of powdered herbal medicines are combined evenly with Phellodendron Bark extract by a blending machine. Pills are manufactured by a rounding machine. We follow the procedure to start the rounding machine, adjust when necessary under the experienced technician’s supervision to manufacture fine-shaped pills. 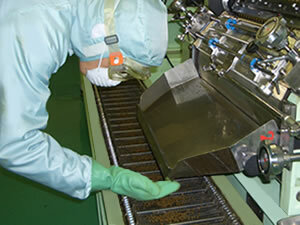 After pills are manufactured by a rounding machine, their surfaces are treated. 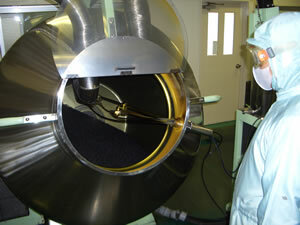 The coating device is used to coat Phellodendron Bark extract tincture on the surfaces of the pills so that the “bitterness” of Phellodendron Bark, unique to herbal medicine is emphasized. 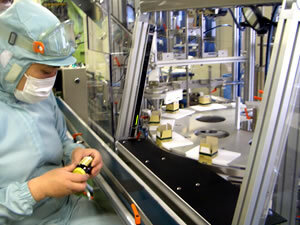 During the finishing process, the pills are filled in bottles or film packs, and then packed in the paper boxes. 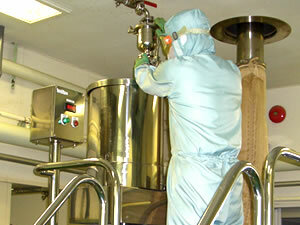 We have a very strict quality control so that our customers feel safe with our products. We intend to devote ourselves to provide our customers with trusted products. Copyright©2010 Hino-Seiyaku Corporation <English Ver.> All Rights Reserved.